Food Sampling at Louie’s Market Place! 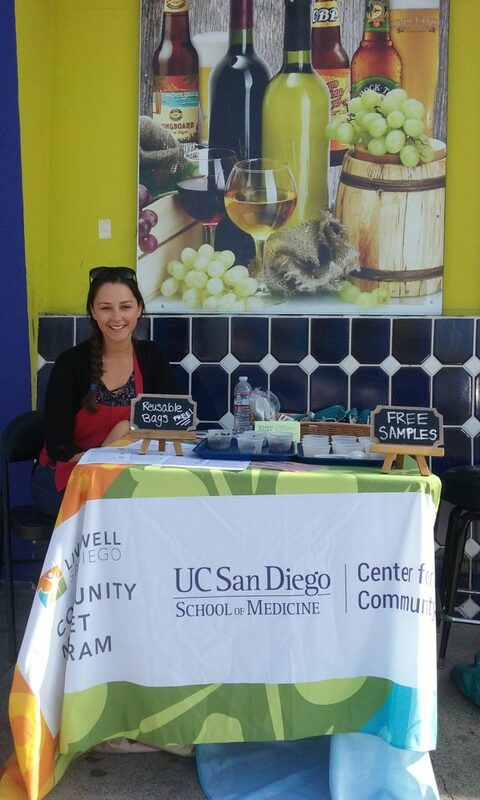 Louie’s Market Place, part of our Live Well Community Market Program, just hosted a food sampling this past weekend on April 15th. Our student intern, Leah Contardi, organized and worked at the event with store owner Latif Georges to promote healthy eating and shopping in the Oak Park neighborhood. The sampling included cups of fresh fruit with plums, mango, grapes, and strawberries. Also, as a special treat, the store owner made a delicious tabouli salad for sampling which was a big hit with shoppers. Along with fresh and healthy snacks, recipe cards and practical nutrition tips were available to shoppers. 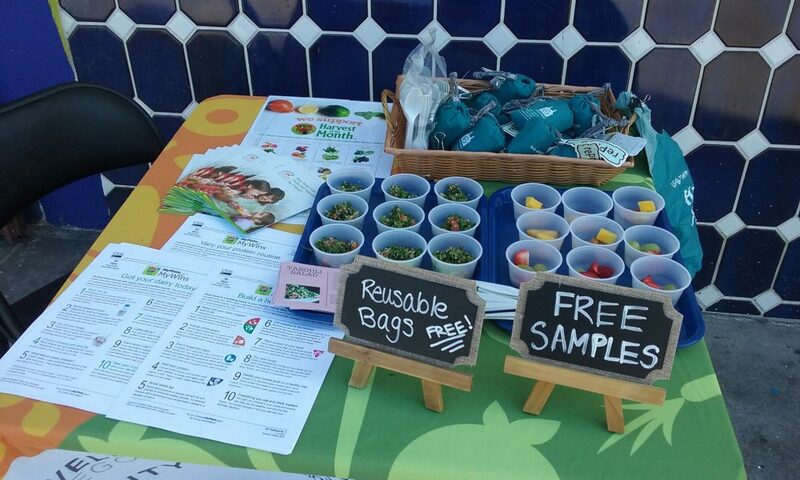 Similar to our food samplings in the past, we also offered free reusable Harvest of the Month bags for shoppers who spent $5 or more on fresh produce to encourage the purchase of fruits and vegetables. As part of a new promotion, we gave punch cards to shoppers which stated every time they come back with their reusable bag they will get a punch on their card; on the 6th time they receive a prize! This encourages neighborhood residents to shop locally at Louie’s and to continue using their reusable bags. 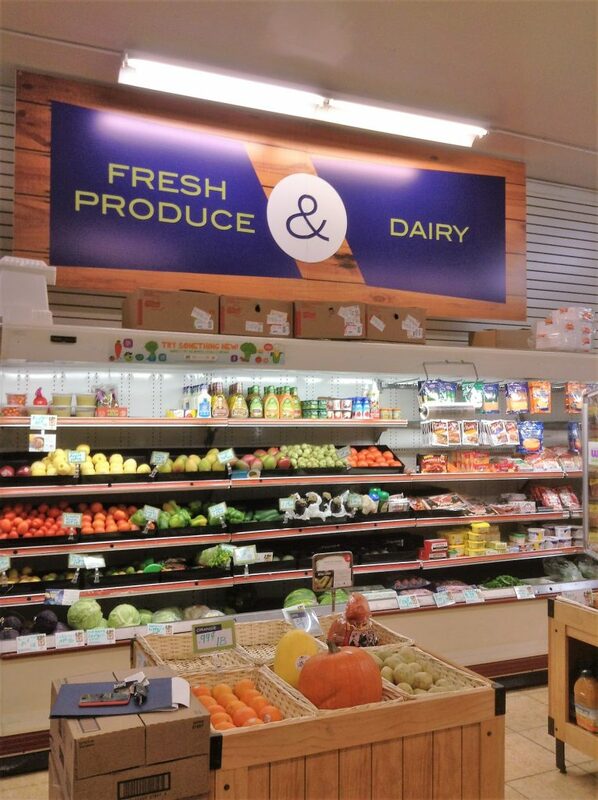 Continue showing your support for local neighborhood markets and shop at Louie’s Market Place! 5409 Redwood Street, San Diego, CA 92105. Previous Article: American Red Cross WIC Gets Fit!